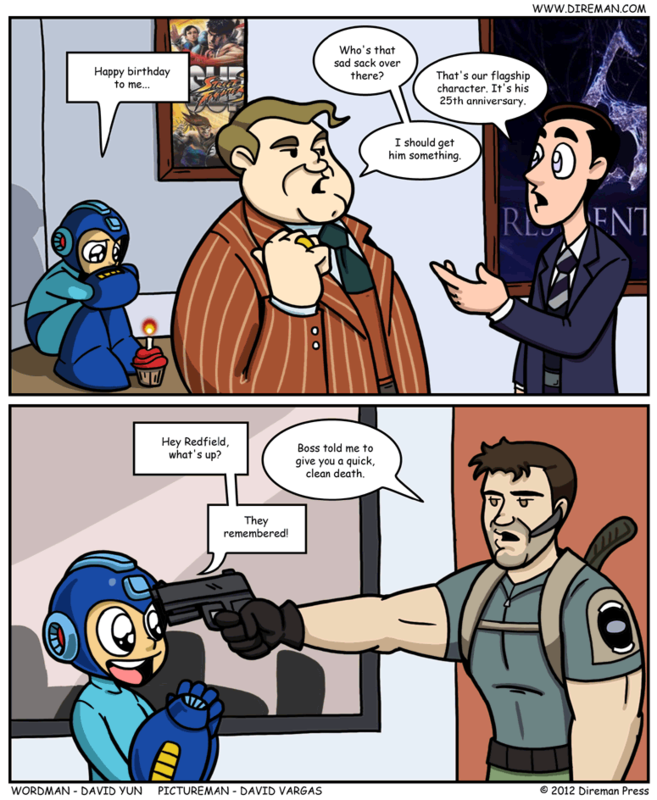 Keiji Inafune, franchise creator, stepped down a few years ago and Capcom subsequently killed all Mega Man projects. So now on the franchise's 25th anniversary, all they have is that fan made hack thing . It's too bad politics effectively killed an icon. Ponies-for-Everypony, my favorite MLP group on DeviantArt, is hosting another contest. My entry was chosen as one of the ten finalists (yay!). The winner will be decided via voting by members of the DeviantArt community, so I'm asking those of you with a DeviantArt account to please click here and toss my entry a vote. My entry is the one with the armor-clad Mane Six and Spike at the dinner table. Thanks for the support, I really appreciate it.